If you follow me on Instagram, chances are you already saw the springy embroidery that I’ve been working on. If not, well, here it is! I can’t show you the entire project, yet, but do promise that it will be revealed soon along with a few tips on working with napped fabrics. 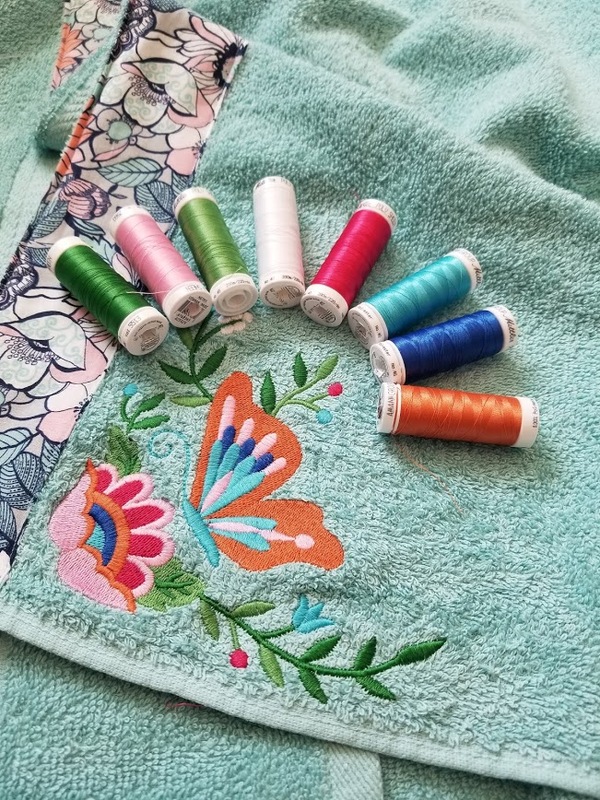 For this design, I wound up using Urban Thread’s Las Flores (corner) in a variety of Mettler Threads that played off the colors in the print that I had used…. so I changed up the thread colors pretty substantially. I do love the end result, which is a bit more muted and a fun play on spring hues. Now I’ve been bitten by the embroidery bug again and have the urge to work on a more substantial stitching project, but am not sure what. Maybe that quilt topper that I’ve been dreaming of for several year? This entry was posted in Uncategorized on April 16, 2019 by stacy.